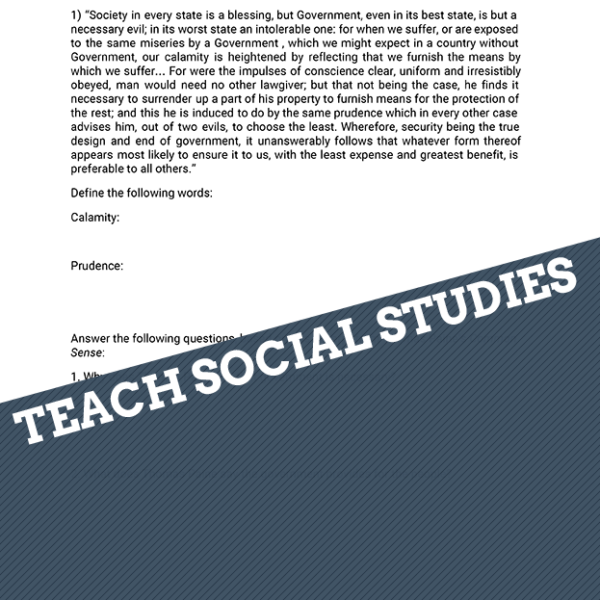 To make learning about Common Sense more engaging, connect the spread of pamphlets in the eighteenth century to the use of social media today. 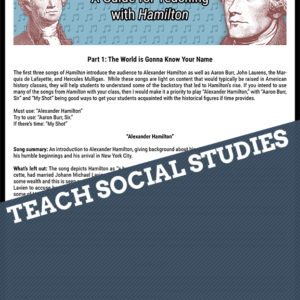 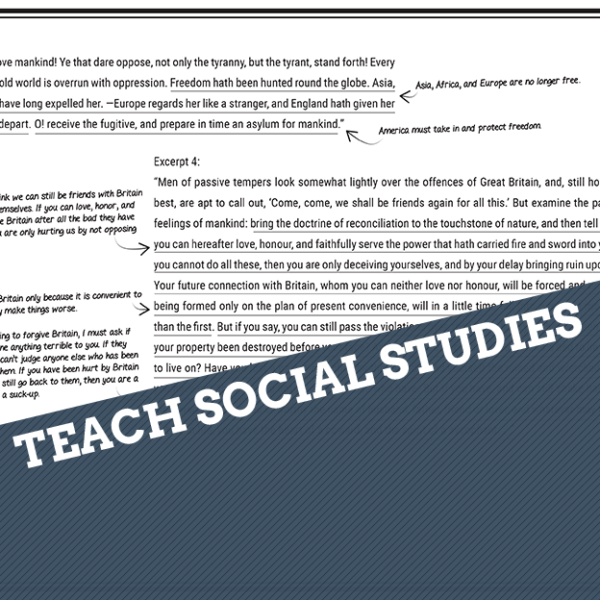 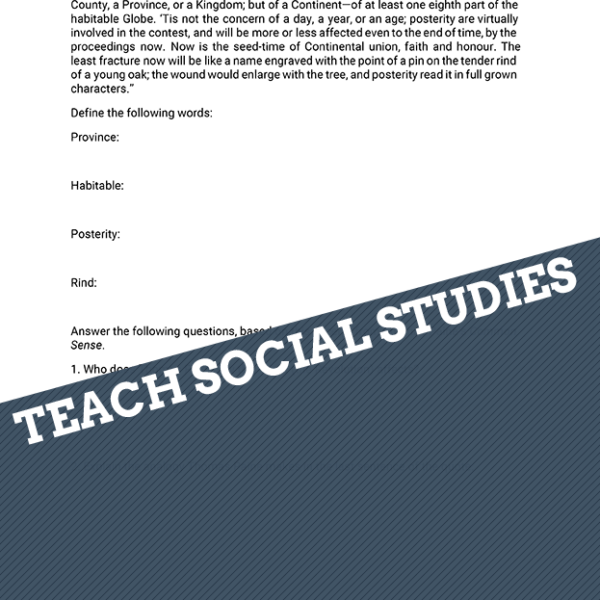 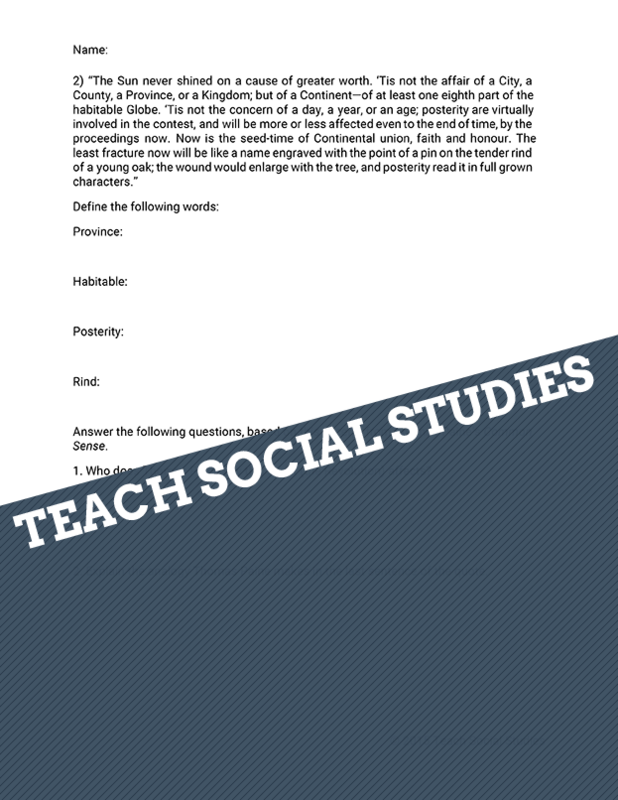 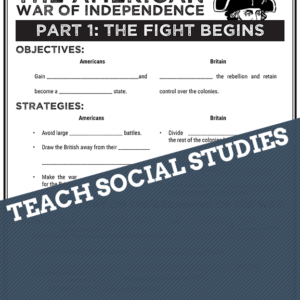 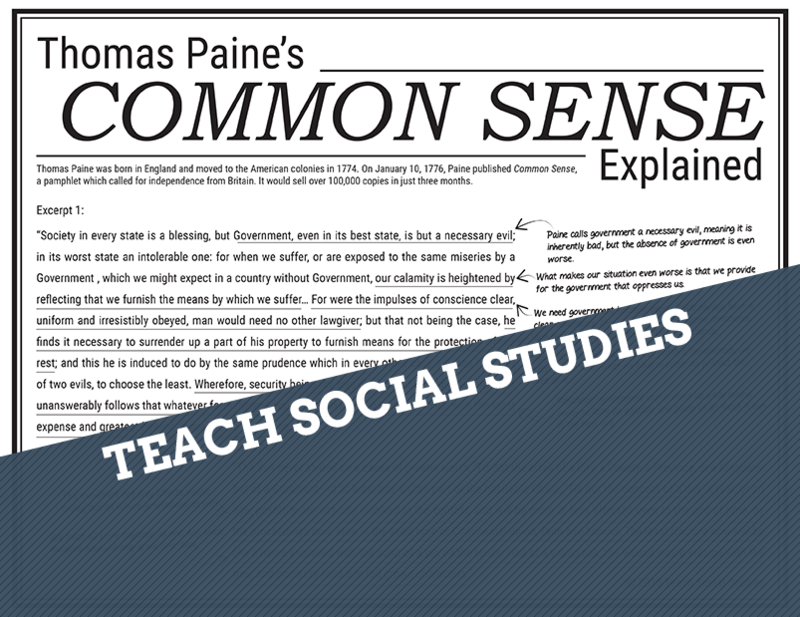 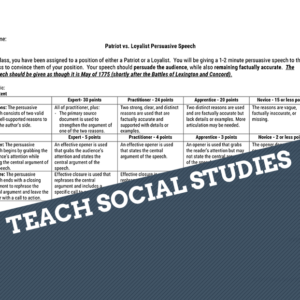 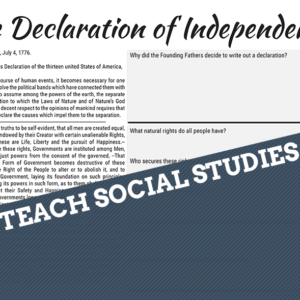 In this activity, students will read an excerpt from Common Sense and answer questions to better understand it. 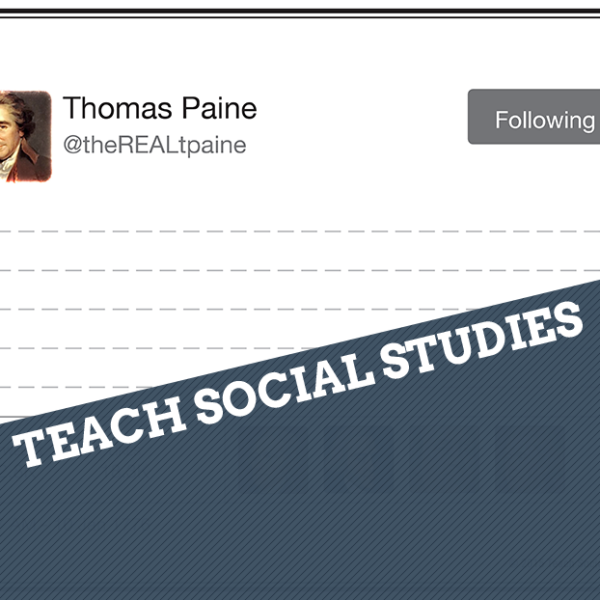 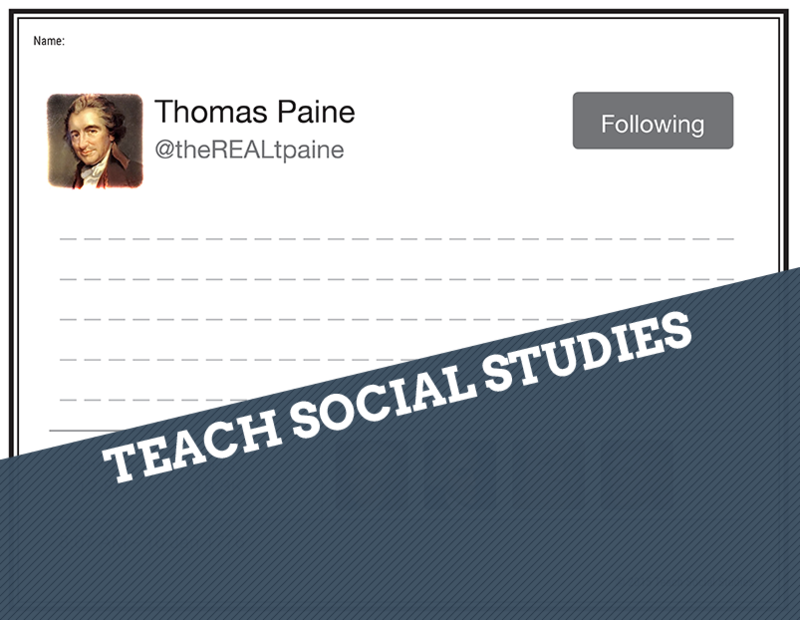 Then, they will summarize Thomas Paine’s message in a 140 character or less tweet. 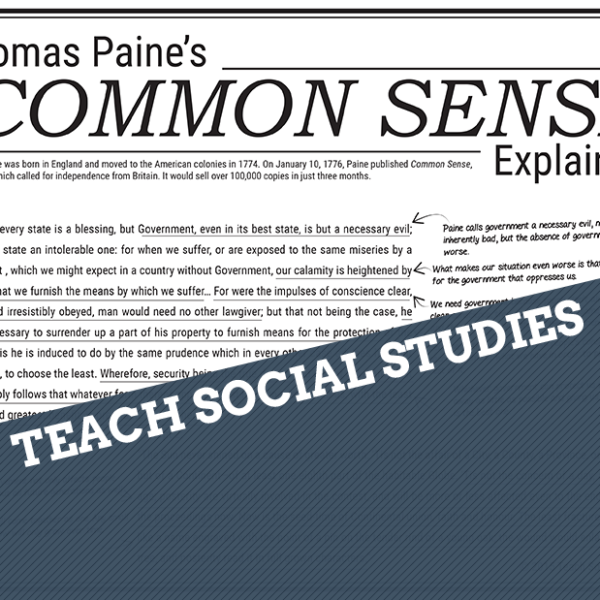 Four excerpts from Common Sense with questions. 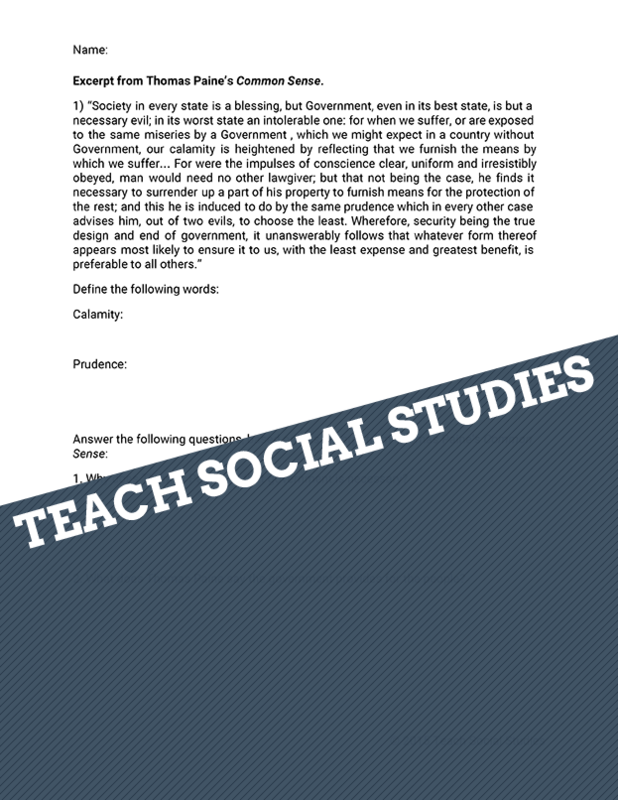 Answers to the Common Sense questions. 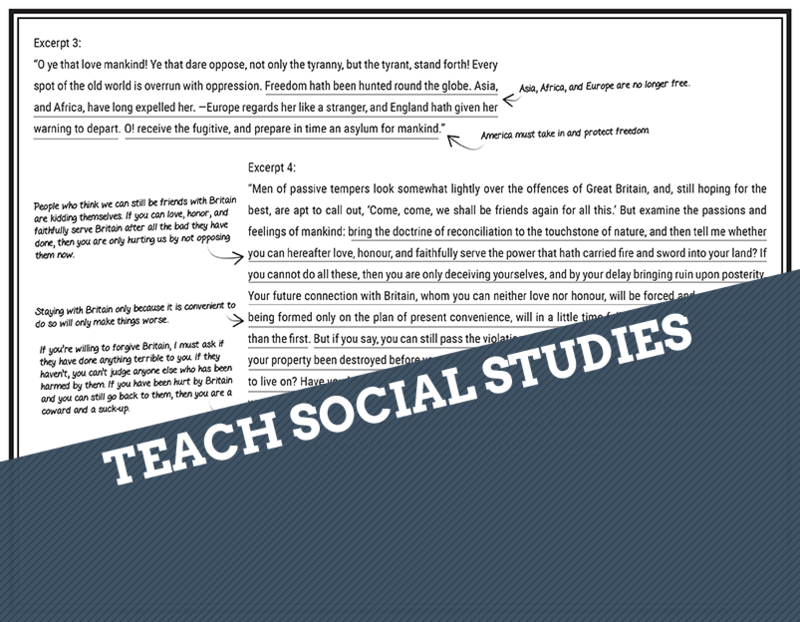 A guide to the excerpts with marginalia to explain their meaning.